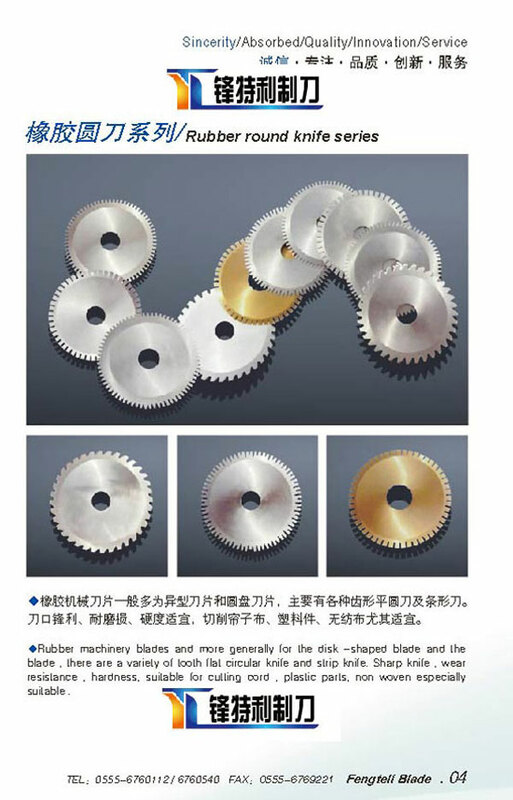 Tire cutting blade used mainly Cr12MoV1, HSS and other quality steel and tungsten alloy tool. Incision smooth, edge wear . The scale adhered plastic products with low degrees of its unique combination of high wear resistance, heat resistance, high strength , high cutting resistance are better than other similar products. After removal of the surface for the lifetime of the tire curing exhaust gel column . 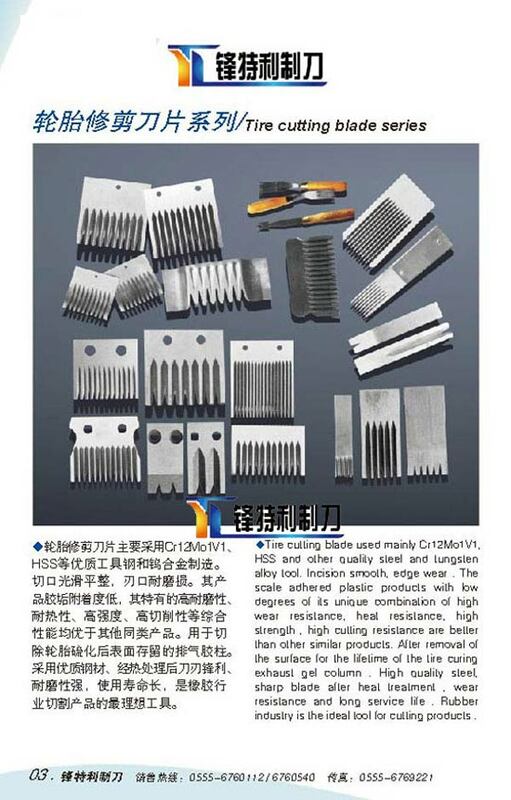 High quality steel, sharp blade after heat treatment , wear resistance and long service life . Rubber industry is the ideal tool for cutting products .